Doggie Cakes was founded in 2007 as a home-based business in New Port Richey, Florida by Trina Messano and husband Jason Longo. The company bakes fresh dog treats and cakes, with original recipes, using 100% human-grade, dog-safe ingredients and no preservatives. They are made fresh prior to each sale and shipped/delivered promptly. A variety of cookie shapes, flavors, and sizes are available for the gourmet pet. Doggie Cakes keeps its audience engaged by producing unique treats for each season and special holidays. Follow them on Facebook and Twitter. 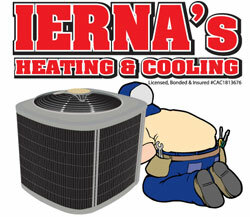 IERNA’s Heating & Cooling is a local, family–owned–and–operated, full service air conditioning and heating contractor. 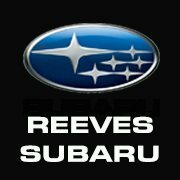 They service the greater Tampa Bay area, including Hillsborough, Pasco Polk and Northern Pinellas counties. They strive for excellence and settle for nothing less. IERNA’s does this all at a fair and reasonable price for their customers’ sake. Because of their commitment to customer service, IERNA’s has continued to grow every year since IERNA’s Heating & Cooling began in 2003. The New Barker is Florida’s definitive dog lover’s magazine, helping people get the most out of life and living with dogs. Our editors and contributing writers are committed to providing informative, insightful and often humorous articles on everything from the latest doggie trends to regional activities for humans and their best friends. The New Barker is more than a magazine. It has already become a forum…a place for dog lovers to come together to laugh, learn and share their love of dogs on a community level with like minded people. Follow them on Facebook . (866) 218-1342 Follow them on Facebook. Tampa Bay Times is the best source for quality news and information. Connect with them for breaking news and useful information. Find more on www.tampabay.com. The Tampa Bay Times is not only Florida’s biggest and best newspaper, but for the past three decades the locally owned, independent daily has also been ranked among the Top 10 newspapers in the country. Its outstanding journalism has captured prestigious national awards, including ten Pulitzer Prizes and numerous top honors from the most respected institutions that recognize excellence in the field of professional journalism. 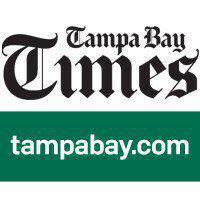 In 2014, the Times won a distinguished National Headliner award for best newspaper affiliated website, tampabay.com. Follow on Facebook. 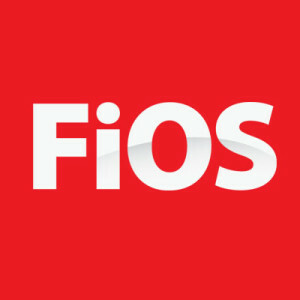 With off the chart Internet speeds, picture perfect TV and the quality of 100% fiber-optic FiOS® Digital Voice, your life just gets better with FiOS. Now with the nation’s most advanced fiber-optic network, Verizon delivers the future of communications, broadband, and entertainment services. The Verizon FiOS Florida event team is in full swing this year. You can find us all over the Tampa Bay area showcasing the power of FiOS. See where you can catch up with the FiOS Florida team. Follow them on Facebook and Twitter. Leadership Pasco has a mission “to identify and recruit current or potential leaders of Pasco County, facilitate the development and interaction of those leaders, and to foster an issues-oriented learning environment for these leaders and the citizens of Pasco County in order to encourage an exchange of ideas and generate enthusiasm for community growth and development.” Their program includes topics such as the History of Pasco County, Leadership Skills, Tourism, Public and Private Educational Resources, Health and Human Services, Social Services, Law Enforcement, Criminal Justice, Economic and Business Development, Government, Media and Infrastructure. In addition to the program for adults, there is a Youth Leadership Pasco program. Follow them on Facebook and Twitter. Proly, Laporte & Mulligan provides outstanding legal representation with honesty, stability and professional integrity while maintaining a reputation for compassion and a caring attitude.” Our vision statement is “To be West Pasco County’s pre-eminent law firm handling personal injury and criminal defense cases as a result of outstanding client satisfaction.” We handle All Types of Accidents & Injury Cases on a No Recovery-No Fee or Cost Basis. Follow them on Facebook. Jason Longo – Celestial Studios was founded in 2000. 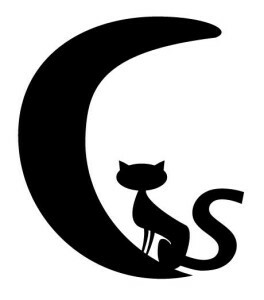 They specialize in Social Media management and training; Graphic Design; Web Design; WordPress; and Illustration. Follow them on Facebook.